To the Jewish NM Calendar: Remember way back, about two weeks ago - before the Festival of Shavuot - when Abq Jew told you about A New Calendar Look? 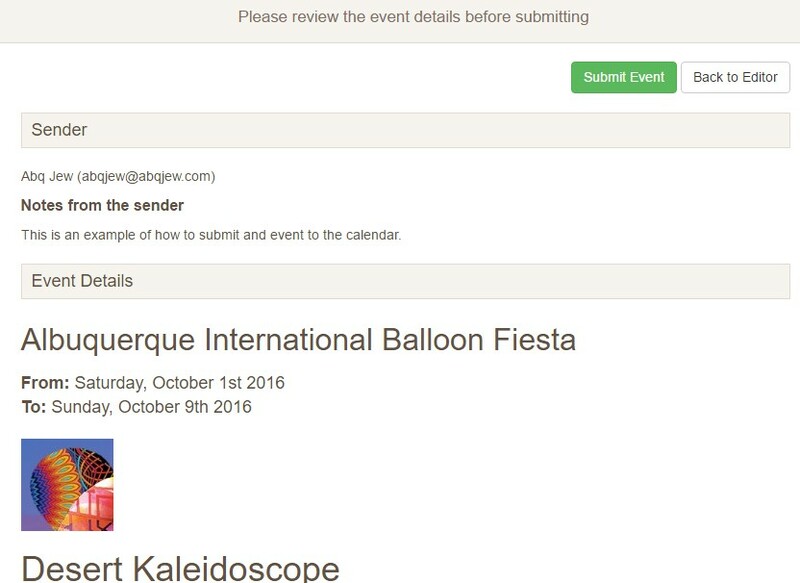 An easy way to Submit your own Event. It will go into a list for Abq Jew to edit (as necessary), add a graphic (again, as necessary) and post to the public. 1. Go to the top of the Calendar. 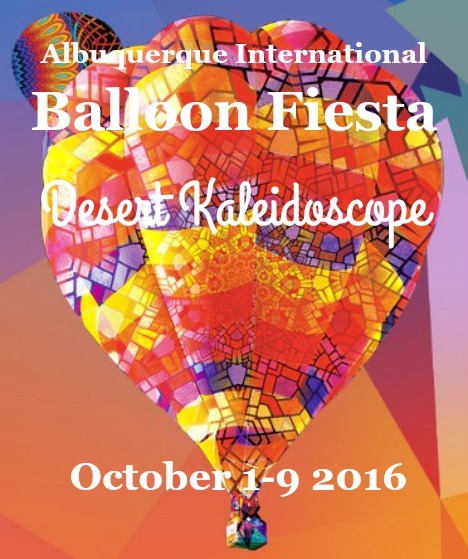 It can be the Abq Jewish Event Calendar, the New Mexico Jewish eLink Events Calendar, or the JFNM Community Calendar. It makes no difference - they will all take you to the same place. 2. Click the Submit Event button. The Jewish New Mexico Submit Event form will be displayed. 3. Fill out the form. You'll be asked for some basic information about yourself and the event. Then it gets a bit more interesting. 3a. Keywords. You know what keywords are, right? Like, for a Google Search? 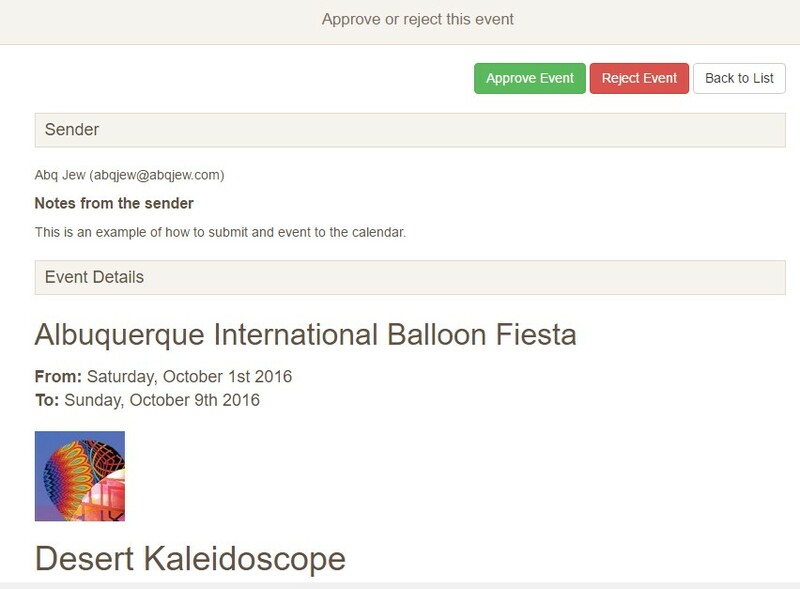 That's exactly what you need to provide here, so people who are doing a Google Search (in the Calendar or on the Internet) can find your event. Things like sponsor, venue, artist - you know! 3b. Image. A picture is worth 1K words. You can provide either a "raw" image (like the one directly above) or a "finished" image (like the one at the top of this blog post). For our example, Abq Jew got the "raw" image by doing a screen capture at the Balloon Fiesta website. He then added text to produce the "finished" image. A logo for the sponsor or event works even better. 3c. Description. The description can be as long and detailed as you want. Just keep in mind that readers want the important information as quickly as possible; so be reasonable. Website links are always valuable. Plus - you can do a lot of basic-but-nice formatting! 3d. Address. All you have to do is enter the name of the venue (i.e., Congregation B'nai Israel) and the city. Google Maps will, in most cases, do the rest. 4. Click the Next button. The Review page will be displayed. 5. Review the information you are about to submit. If you want to go back and add / change / delete anything, click the Back to Editor button. If you are happy with what you've got, go ahead and click the Submit Event button. 6. Just kidding about that last part. You can always Contact Abq Jew with updated information. Or a better graphic. Or whatever. 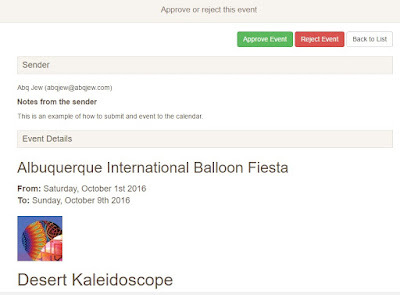 and that will direct him to the calendar's Submitted Event List, to approve / edit / reject your submitted event. Whereupon Abq Jew does one or more of those things. Most often, Abq Jew will approve, or edit and approve. Since he tends to avoid confrontation, Abq Jew will almost never reject. Abq Jew hits the Approve button. 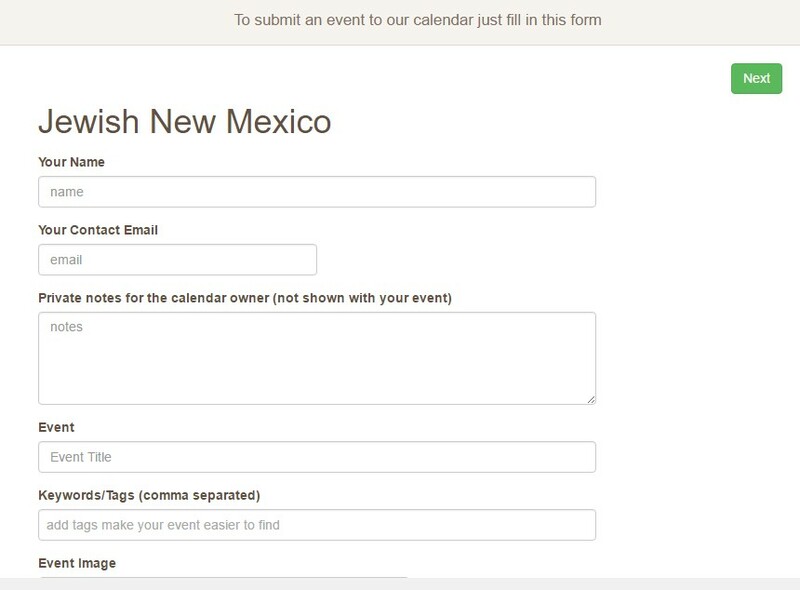 If you don't see your event on the Jewish NM Calendar a couple of days after you submit it, please contact Abq Jew. Sometimes things just get lost in the sauce. 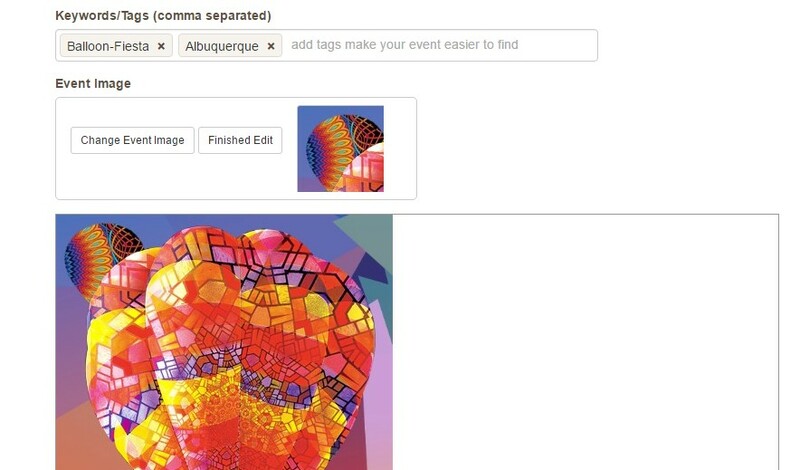 Next Lesson: How you can publicize your event after it's posted on the Jewish NM Calendar!